Since ancient times, the people of central Italy have mined alabaster from the hills of the Tuscan countryside. The ancient Etruscans prized alabaster for its durability over centuries, not to mention its beautiful coloration, natural veining, and luminous effects when held up to the light. It has long been used to craft vases and urns, small decorative objects, as well as larger sculptures. Alabaster was the Etruscans’ material of choice for cinerary urns sculpted in honor of their ancestors and designed to hold their ashes. 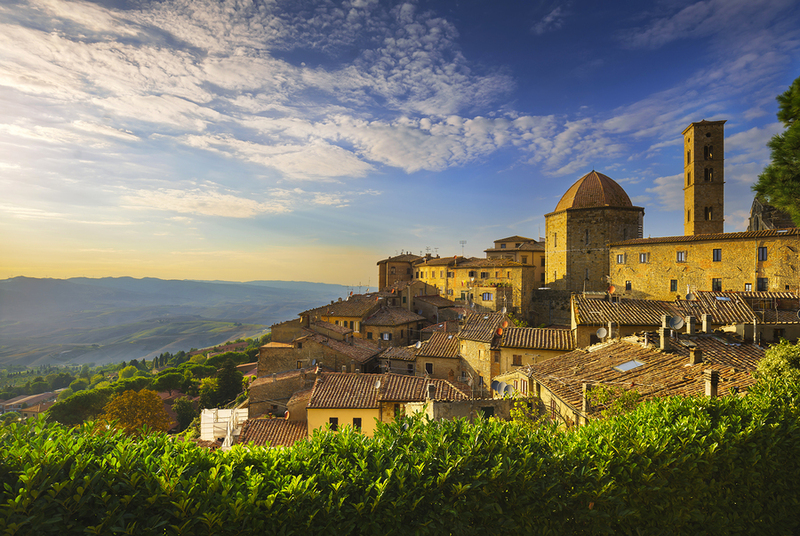 Today, the ancient Etruscan city of Volterra, southwest of Florence, remains a center for alabaster craftsmanship. Toward the eighteenth century, artisans in Volterra rediscovered the ancient art of working alabaster, and it enjoyed a renaissance throughout the early 1900s. A move to industrialize alabaster crafts took hold after World War II. Luckily, a handful of diligent artisans preserved the handmade techniques of this ancient tradition. For those artisans continuing the handmade ways of the past, the tools and methods used to fashion this hard mineral are nearly indistinguishable from those used by Etruscan alabaster artisans from the third century BCE. In fact, archeologists working in central Italy have unearthed workshops of ancient Etruscan alabastrai that closely mirror those of today. Amazing! Alabaster is an exceptionally hard mineral that occasionally contains little perforations and holes within it. The work is slow; it can take a month or so to craft a bust, for example. Some artisans do it part-time, relying on a second job to support themselves while they work slowly but surely at this laborious craft. 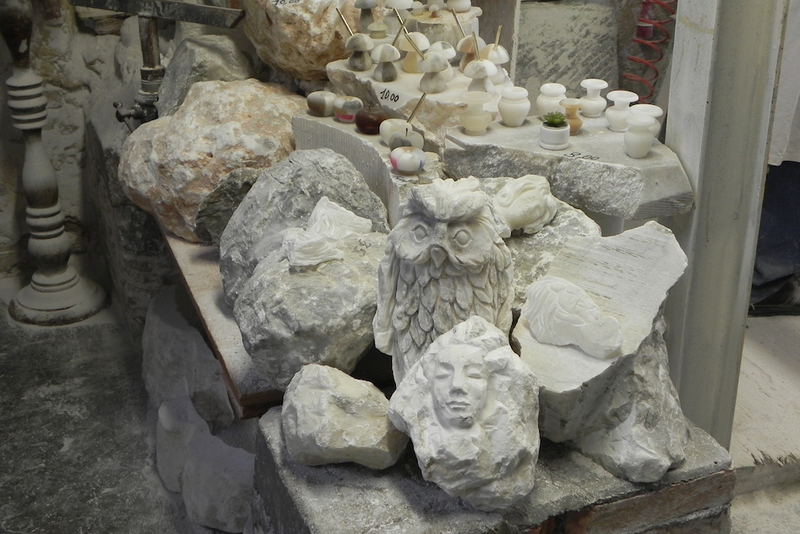 Today as in the past, alabaster artisans in Volterra specialize. Some are strictly ornatisti, specializing in ornamental and decorative objects such as paperweights, dishes, and other small objects Others consider themselves animalisti, crafting elegant horses, birds, and other animals. Finally, scultori focus primarily on human subjects. An alabastraio begins with a block or chunk of alabaster, which might be sawed or roughed out with a chisel and mallet ahead of time to roughly the desired size. In the past, a person called a squadratore specialized in cutting the alabaster as economically as possible in order not to waste valuable material. If the final result is a vessel like an amphorae or vase, the hunk of alabaster is then fixed on a lathe, and turned and shaped with various chiseling tools. In ancient times, alabastrai used a lathe operated with a foot pedal, but most have been replaced with electric equipment today. The vessel would then be further shaped with chisels and chiseling hooks made of steel or iron. Artisans use a variety of mallets, rasps, and chisels, as well as a special tool called a scuffina that was developed specifically for smoothing alabaster. Today, sculptors creating animal or human forms might begin with a clay or wax model, or use a mechanical milling machine to help guide their work. If they are copying another work or a famous sculpture, they might transpose measurements with the help of a pantograph. The final stage of alabaster production is polishing, critical for achieving the characteristic luminescence associated with alabaster objects. Traditionally, polishing was a multi-step process carried out by hand by women called lucidatrici. Today, polishing is mostly carried out with the help of machines. The streets of Volterra glow with beautifully lit alabaster works that fill the shop windows. Many of the works are displayed on glass shelves lit from beneath or behind to capture the natural veining and subtle coloration of the mineral. Prices for well-made alabaster objects are surprisingly affordable, considering the scarcity of the material and the time involved in working it. Start with the local museums to view examples from centuries past. Then, be sure to visit the local artisan workshops—covered in a layer of white alabaster dust—where you can watch these master craftspeople transform alabaster into masterpieces. By visiting the workshops and stores, you can go home with a handcrafted treasure in your suitcase. Small alabaster objects make special and portable souvenirs, but don’t forget the bubble wrap. This is one of the newer museums of Volterra, and it chronicles the story of alabaster from the moment it is mined until it is made into a finished product. 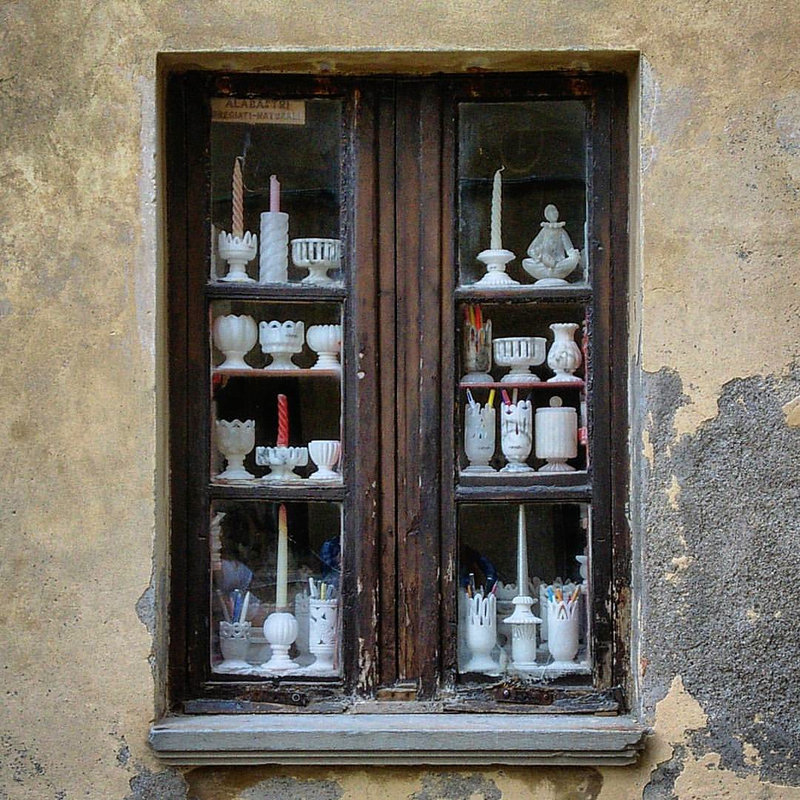 You can also visit an old alabaster workshop that the town of Volterra purchased from the Pagni family of alabaster artisans. This museum of Etruscan culture includes a reconstruction of an Etruscan alabaster workshop from the third century BCE that is remarkably similar to those still in operation today in Volterra. Many of the six hundred or so Etruscan funerary urns in this impressive collection were crafted from local alabaster, and some date as far back as twenty-seven centuries ago. What a testament to the enduring qualities of alabaster! This luxurious historic private residence, still occupied by members of the Viti family, opens several rooms to the public to display its impressive collection of paintings, sculpture, and decorative arts. 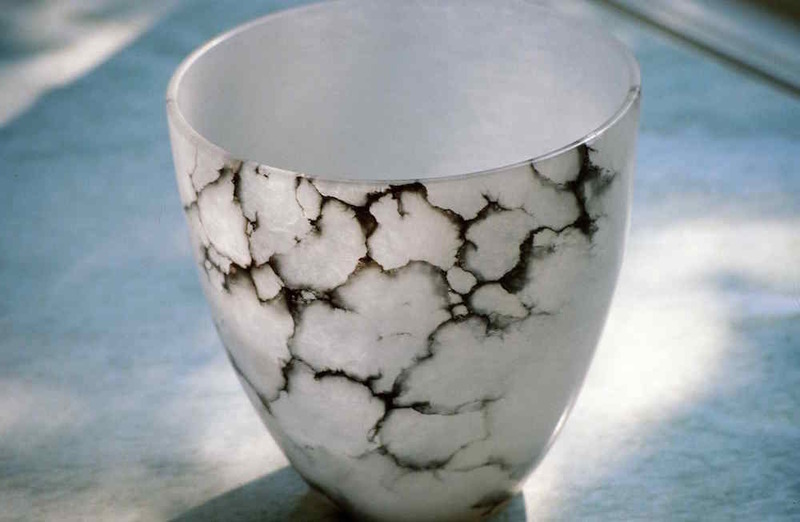 The collection includes alabaster pieces made through the centuries in Volterra. The workshop of Roberto Chiti and Giorgio Finazzo is a fascinating jumble of elegant female nudes, busts of ancient Greek gods and Jesus, lamps, and hunks of unwrought alabaster. Here, Aphrodite coexists with the Madonna and Child. Saints stare vacantly from translucent pupils. It’s almost too much for the eye to take in at one time. Alab’Arte concentrates on the human figure, which it has perfected with idealized beauty. Silvia Provvedi represents the younger generation of alabaster sculptors in Volterra. A native of the town and a graduate of the Art Institute of Volterra, Silvia set out to pass the torch of tradition. In addition to perusing a selection of portable alabaster objects, you can talk directly with Silvia and watch her work in her bright studio in the middle of town. Paolo Sabatini has a reputation for innovation. Instead of slavishly copying designs of the past, Sabatini provocatively pushes the envelope with unexpected designs in alabaster. 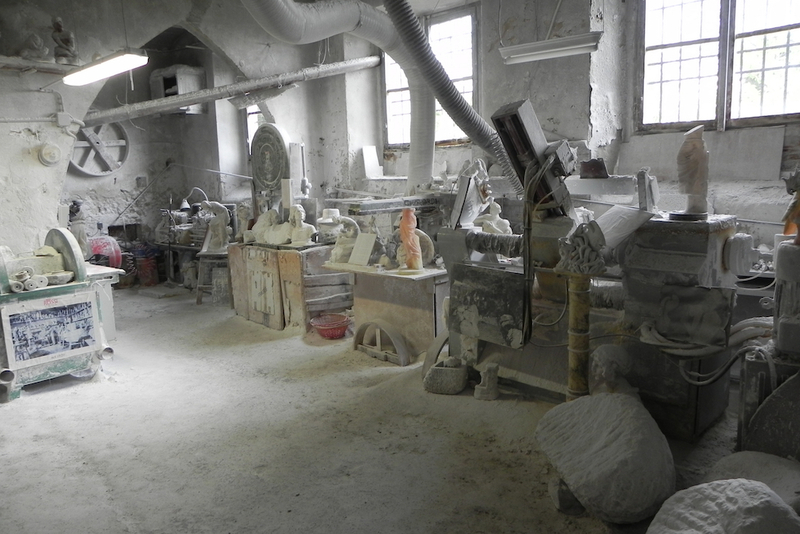 In his workshop are apples, pens, candelabra, hats, shoes, and much more made of alabaster. Each one of his alabaster sculptures is a unique creation. He has challenged other alabaster artists, in Volterra and elsewhere, to think outside the box.